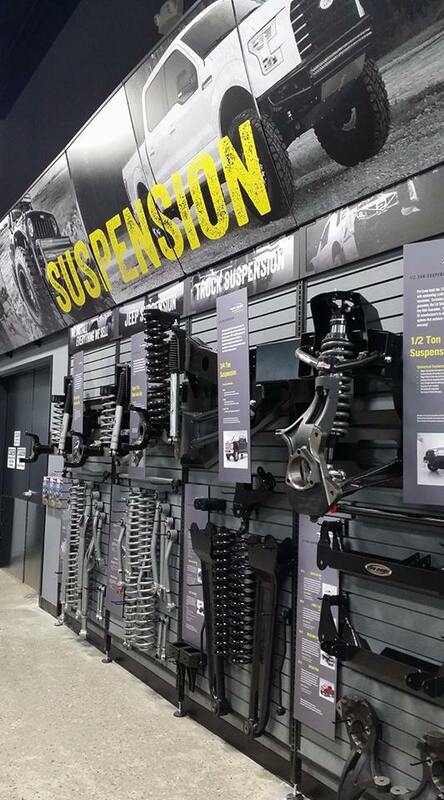 4 Wheel Parts, the global leader in off-road performance product sales and installation, is celebrating the opening of its newest location this Saturday, September 9th in Cincinnati, Ohio. The family-friendly festivities, located at 11350 Princeton Pike, represents the introduction of the off-road aftermarket retailer’s 83rd North American location. With this brand new showroom and industry leading inventory selection, customers can now shop with the confidence that comes with knowing that they are being offered the most comprehensive selection of products combined with industry leading service. 4 Wheel Parts, the global leader in off-road performance product sales and installation, is celebrating the opening of its newest location this Saturday, September 9th in Cincinnati, Ohio. The family-friendly festivities, located at 11350 Princeton Pike, represents the introduction of the off-road aftermarket retailer’s 83rd North American location. The day will feature exclusive grand opening discounts, installation specials, numerous special promotions and giveaways as 4 Wheel Parts unveils its unique off-road shopping concept to the community. The grand opening offers attendees the chance to engage with the entire staff of off-road performance specialists who will be onsite to provide their expertise. Many of the industry’s leading manufacturers such as Pro Comp, Rubicon Express, Poison Spyder, G2 Axle and Gear, Wheel Pros, Polaris and BFGoodrich, will be on-hand with product displays and demonstrations. The event will also feature custom vehicle displays, a live DJ, games and activities, catering by TGI Fridays and Monster Energy Drinks. Off-road enthusiasts from throughout the region are expected to join in the celebration including members of the “Cincy JK Crew” Jeep Club. Numerous raffles spearheaded by Cincinnati based, Cancer Free KIDS will be held during the day that will offer visitors a chance to enter to win a number of giveaways and promotions. Up for grabs will be 4 Wheel Parts Gift Cards, prizes from Rigid Industries and Bestop and a $1000 4 Wheel Parts shopping spree. ASE-certified technicians will be onsite providing installation discounts on select products purchased in addition to one-time-only specials. “In sharing Ohio’s passion and enthusiasm for Jeeps, trucks and off-roading this is more than a sale, it’s a celebration,” said Irvin. “We have a very successful store already in Cleveland and shortly, we will have a third store opening up in Columbus. With this brand new showroom and industry leading inventory selection, customers can now shop with the confidence that comes with knowing that they are being offered the most comprehensive selection of products combined with industry leading service and expert advice throughout Ohio." When: Saturday, September 9th - 9 a.m.–5 p.m.